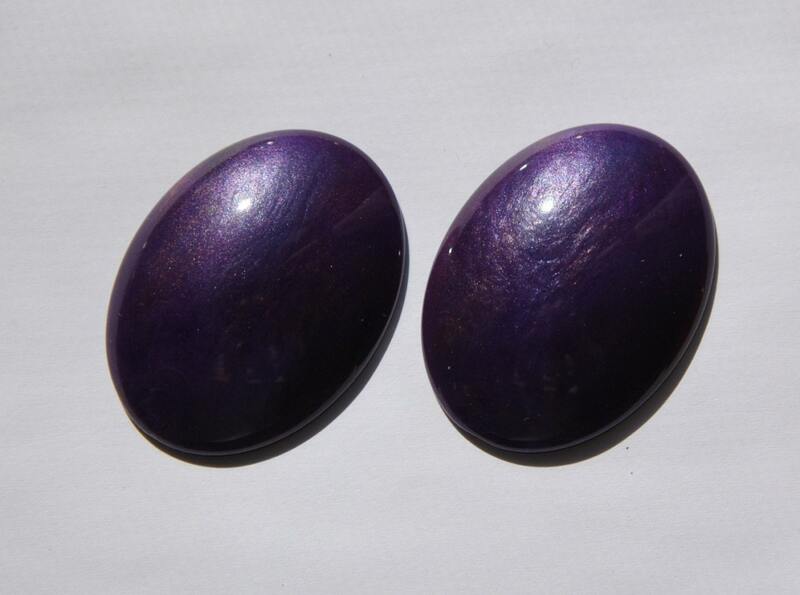 These are vintage plastic domed cabochons. 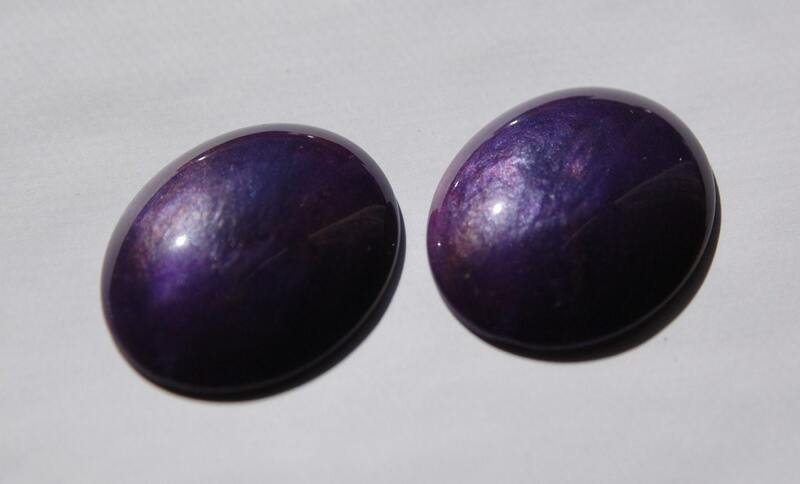 They are purple with sparkle swirls. These measures 40mm x 30mm. You will receive 2 of them.